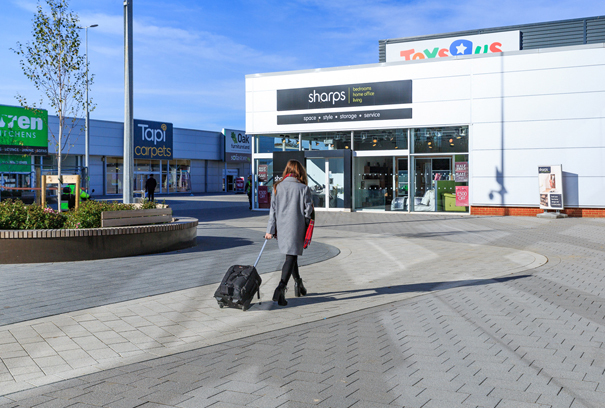 A refurbishment of an existing retail park, Indigo undertook the hard and soft landscape design and construction detailing of this large-scale development in Stevenage. The scheme concentrated on a harmonious and simple palette of materials, enhancing the public realm to complement the architectural proposals and to draw in higher profile retail tenants. 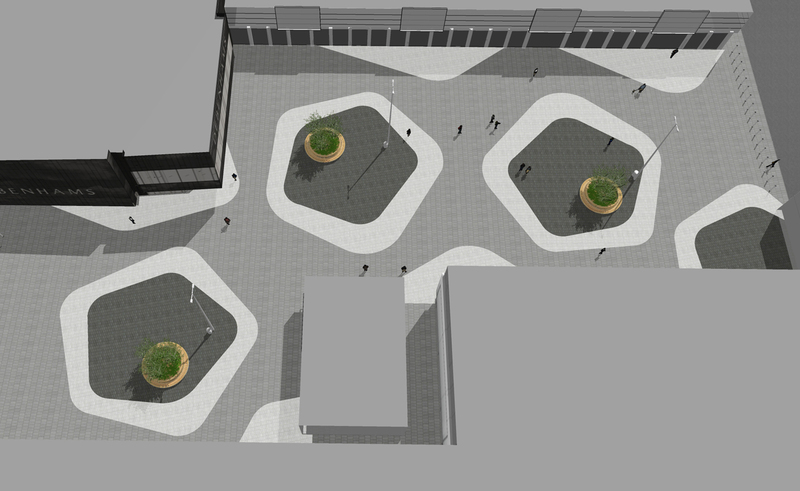 Contrasting coloured paving ‘islands’ break down the space, directing pedestrians through the plaza while creating comfortable zones for resting and gathering. The scheme is being constructed in phases with the new Debenhams due for completion in Spring 2017.